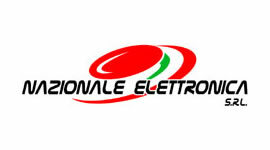 World Match is to launch five of the most popular slots from Nazionale Elettronica, the Italian supplier of land-based slot machines, to the Italian i-gaming market. The five games - Platino, Il Pasticciere, Driver, Grande Joker and L'arca - will be available on desktop and mobile platforms in HTML5 format. He added: “I’m sure that, thanks to the technological solutions we developed, we’ll be able to release online versions of the slots that provide the same thrill of the land-based slots and guarantee a seamless game experience across any digital device.